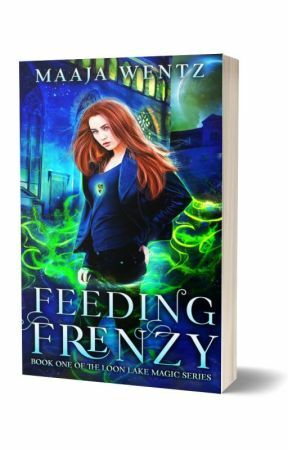 Thank you for reading Feeding Frenzy. I had so much fun writing the novel that I wrote a prequel story for you as well. "Blasted Bloomers," takes place in magical Loon Lake high school. Tonya is on her first date. Vince is handsome, athletic, and smart. Tonya wonders what a guy that exciting can see in her. Will her aunt&apos;s magic result in seduction or disaster? By the way, if you have reader friends who are not on Wattpad, this is a chance to share some Loon Lake magic with them. By clicking on the external link, or typing this link into the search bar: books2read.com/BlastedBloomers they can get their ebook of "Blasted Bloomers," for free. When you land on the Books2Read page, just choose the format you like. You can have Kindle, ePub, PDF... Inside the book there is also a link to join the Loon Lake Reading club. 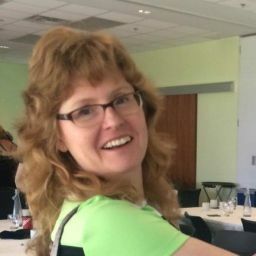 Sign up to get free stories immediately, and stay signed up to get more free novels as I write them, including ebooks that won&apos;t appear on Wattpad. Don&apos;t feel like typing in the whole URL? Search for Maaja Wentz on Amazon to get your free ebook story now. If you like the story, please spread the word by leaving a review on Amazon, Kobo or iBooks etc.. This is my very first Loon Lake ebook. If people like this Loon Lake story, I will write you more.